Back in 2006 I spent most of my days listening to the album The Trials Of Van Occupanther from Denton, TX band Midlake. I love this album. It's unbelievably great and if you've never listened to it before I highly recommend you do so. 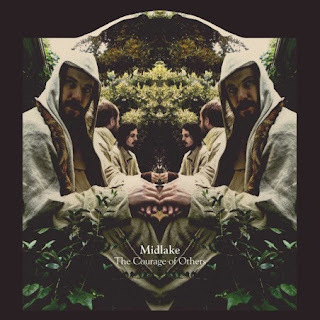 It's been nearly four years but finally Midlake will release their follow up entitled Courage of Others on February 2nd via Bella Union. I've been pretty excited to hear the new album since it was announced a few months back. I was a little disappointed to see Phoenix New Times writer Jay Bennett give Midlake's latest effort such a negative review but really couldn't argue considering I hadn't heard any tracks from it. Thankfully, you can stream the album in full over at NPR today. I have to admit that Courage of Others doesn't immediately grab you like The Trials Of Van Occupanther does and it has a much darker tone but is most definitely not deserving of the negative review it got in the New Times. Listen for yourselves and make up your own minds though. I'd love to get some comments back on what you guys think of the album.